I have some of the most amazing blogging friends! They cover all parts of the globe, and so many walks of life. Terra, from Cafe Terra, whips up some of the most amazing foods. Besides being talented in the kitchen, Terra is also a contemporary romance author! I am almost through her first novel, "Catch Me". I am loving turning every page... Yes, I am old fashioned and have to flip the pages of the actual book! Truth be told, it has been a very long time since I have sat down with a book, which is very sad because I loved to read books! Terra has pulled me right into the first of the Winters Family Series. The fact that the story is set in North Carolina, just miles from where I was born, pulls me into the story even more. A romance story set oceanside, that is absolutely perfect. As soon as I finish "Catch Me" this weekend, I will be ordering "Need You"! Now, let me tell you what else makes Terra Kelly novels so fun. There are recipes! Yes, recipes! The novels are full of the love of food, and then recipes are included at the end of the book. Isn't that fun? Stop by this page on Terra's site and see picture of some of the other recipes that are featured. 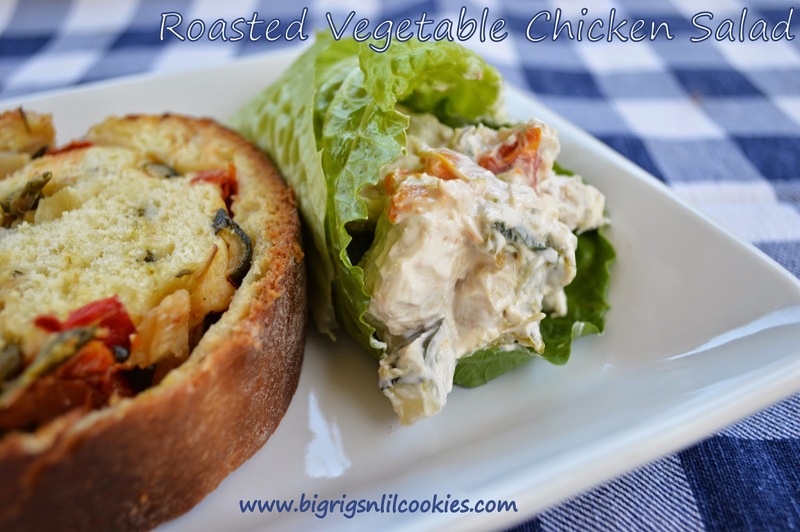 As part of the "Recipe Book Blog Tour", I am so excited to share with you that I made Roasted Vegetable Chicken Salad. This is, hands down, the best chicken salad I have ever tasted. 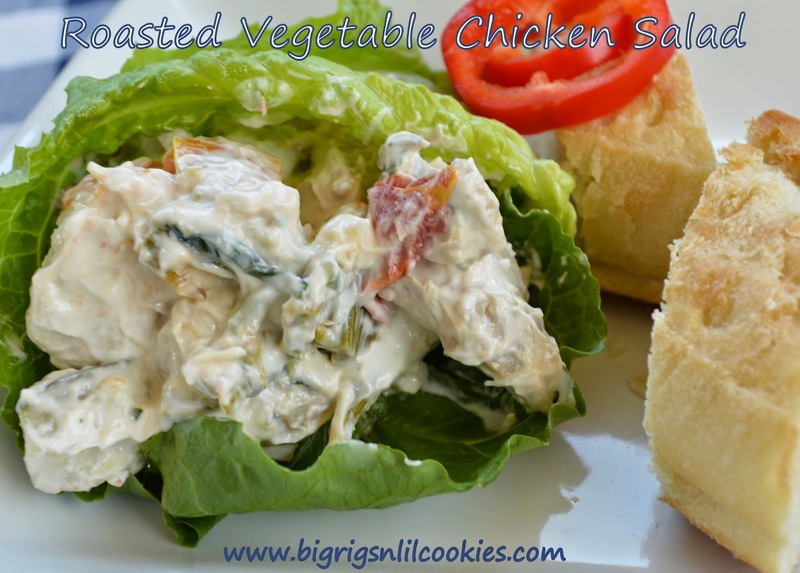 It is such a unique twist on the chicken salad I have known most of my life. It is a healthy dish, that I felt good about eating, and fits right in with my diet. Making the roasted vegetables the night before, it took me less than ten minutes to pull this salad together. I let it set in the fridge for a couple hours for the flavors to come together. It doesn't get any easier than that! You can find the recipe in "Catch Me". Oh my those recipes do sound and look yummy. Plus I like a good romance story so I'll be checking our library to see if this books is available there. Thank you for sharing. And Yummy! !